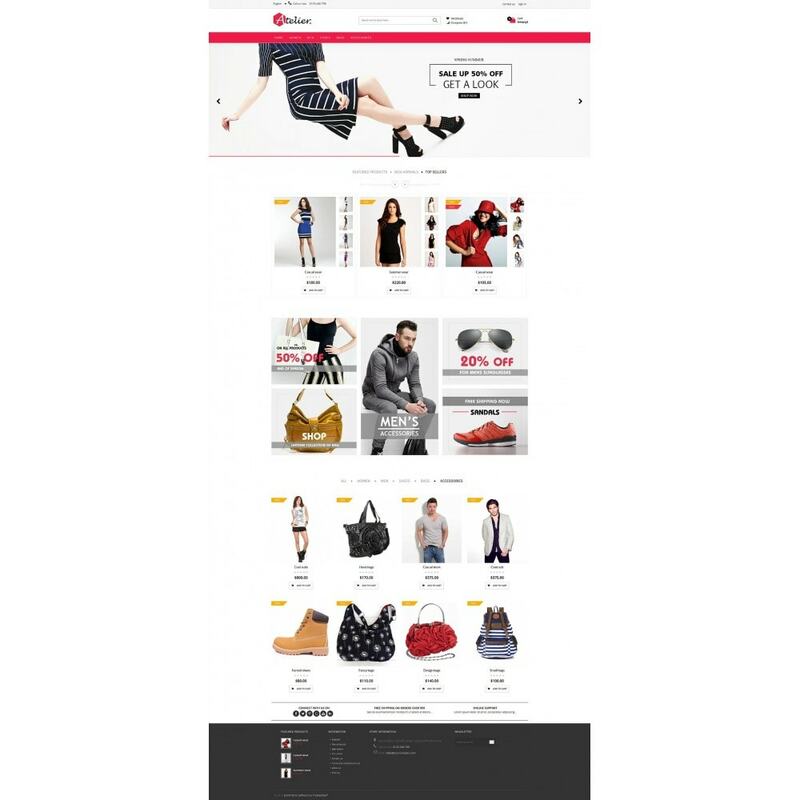 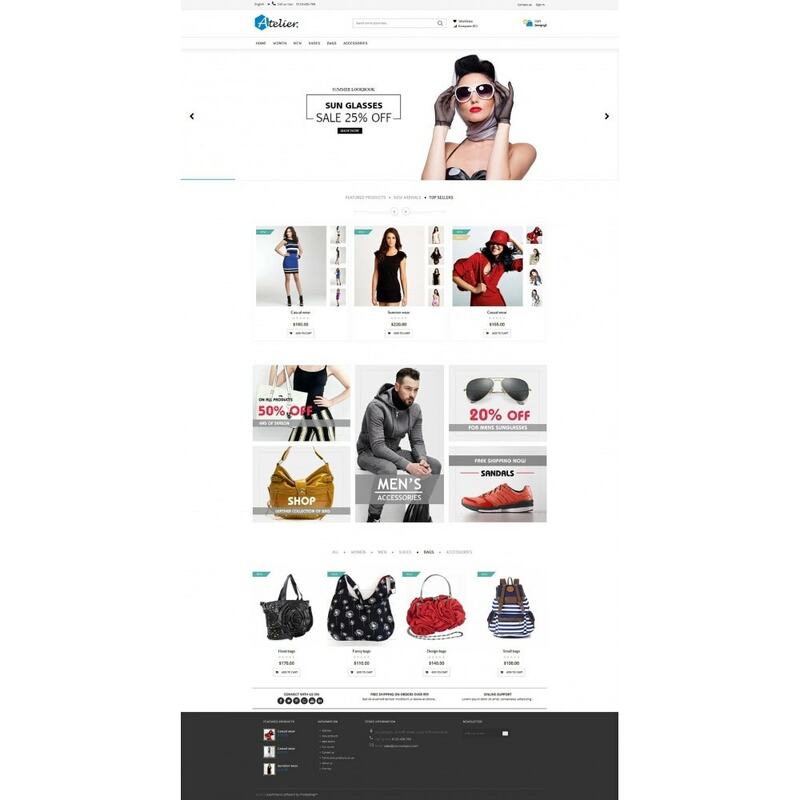 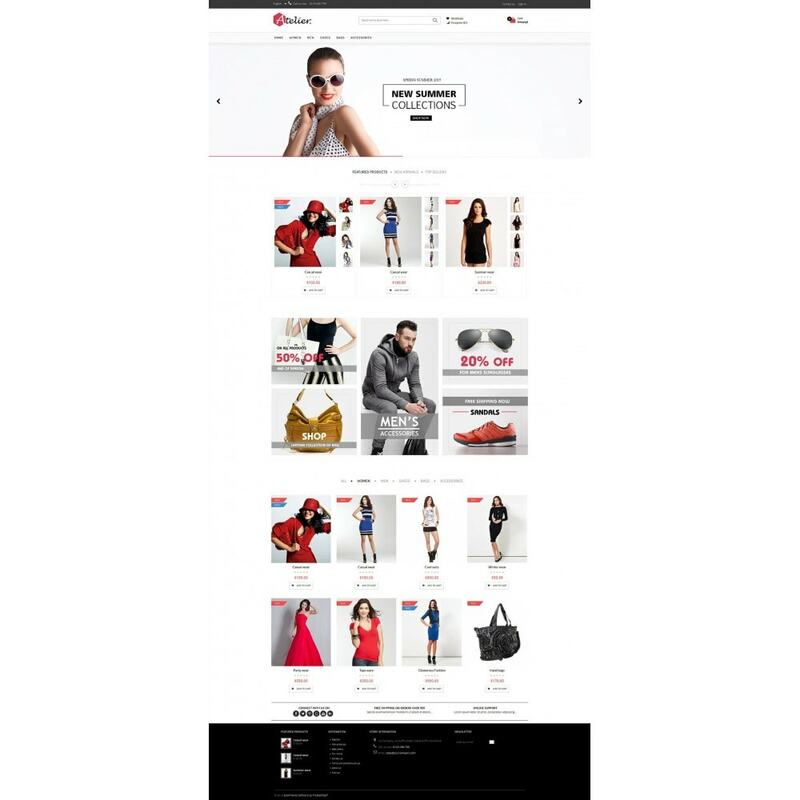 Atelier Theme is an ecommerce responsive theme with clean design and professional look. 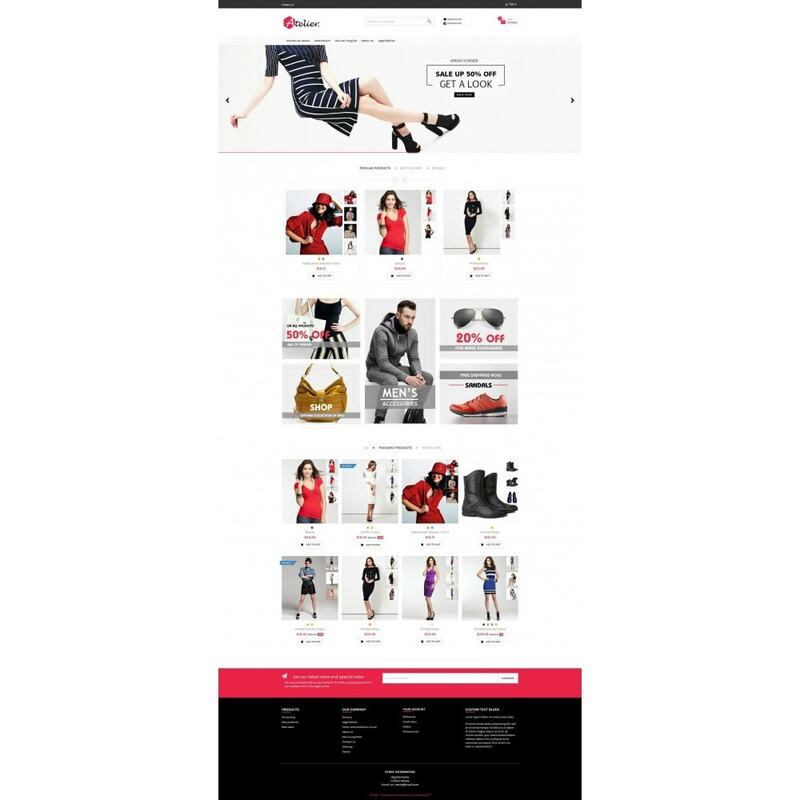 This theme is can easily fit to all the products (Fashion, Furniture, Jewelry, Electronics and much more). 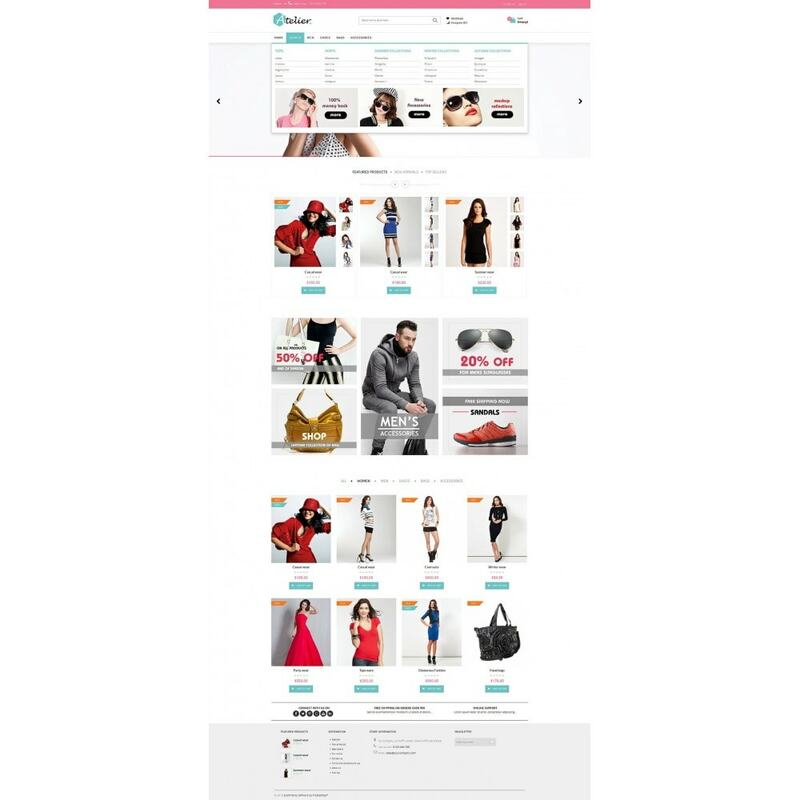 It’s a great solution for Multi businesses. 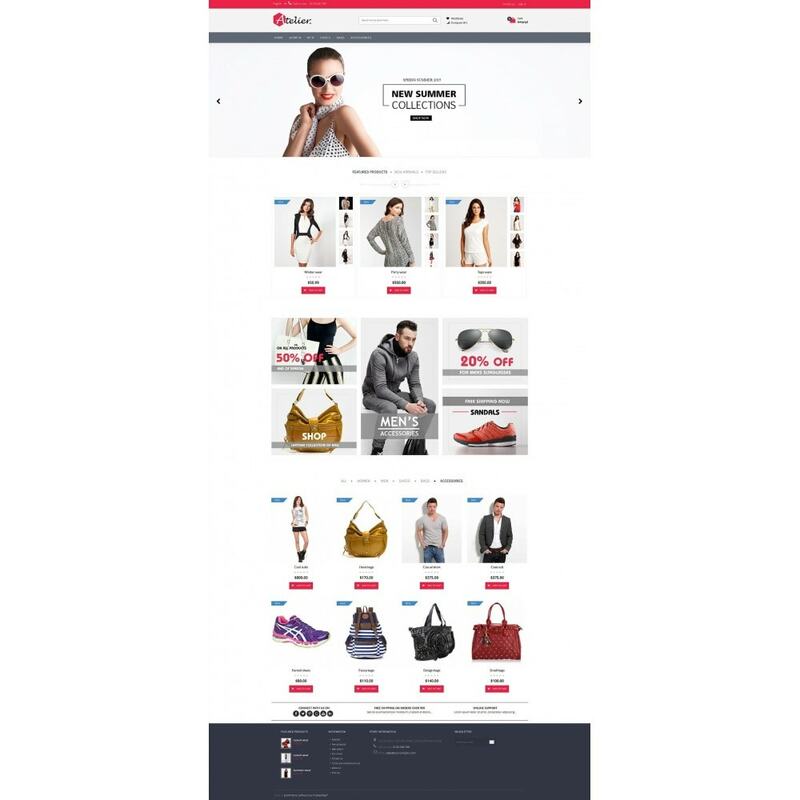 Atelier Theme comes with advanced modules like stylish category on home page with all product thumbnail will display when you mouse over the product and also comes with scroll images option with Isotope effect and you can add your own text on category like ”Sale, Offer, best, etc”. 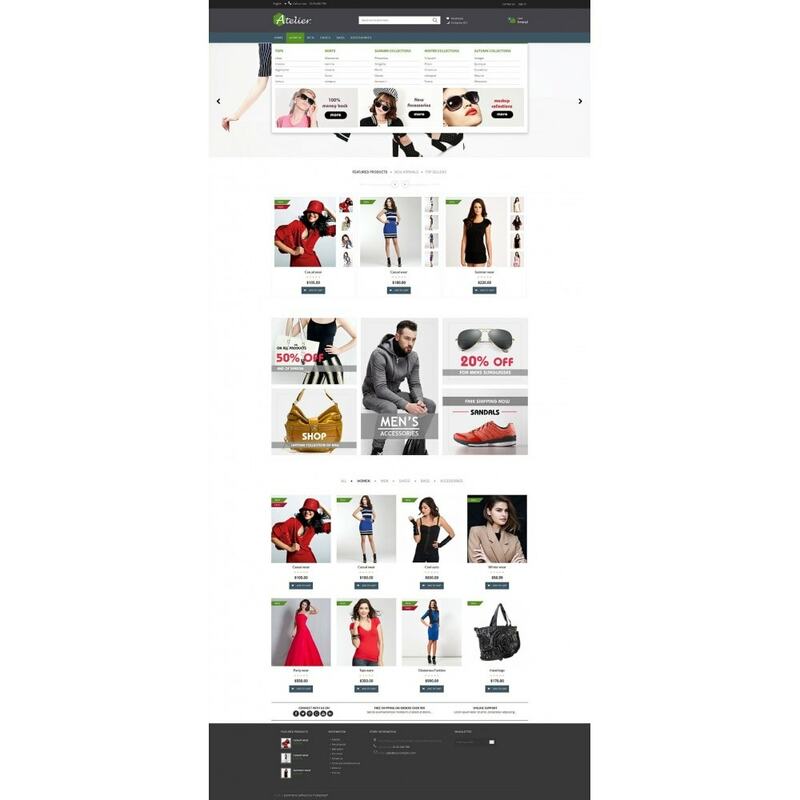 Thumbnail images display on “Featured products, Best seller, Special product, New products"
Stylish categories with Isotope custom tab on homepage - New Module Update!